A few days ago, I popped into L'Occitane to take a closer look at the beauty advent calendar. Instead, this is what caught my eye. At only £10, the L'Occitane Festive Baubles are great as small gifts or stocking fillers. There are a few different sets to choose from: Shea Butter, Verbena and Almond (exclusive to John Lewis). 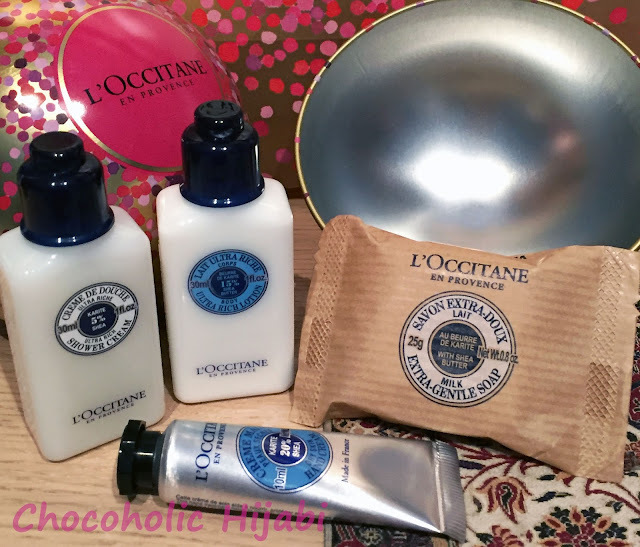 The travel sizes makes this an ideal introduction to L'Occitane products, or in my case, perfect for a weekend away. The Christmas baubles are available online here and in store (currently on offer 3 for £25).